ON THE 1ST GREEN! 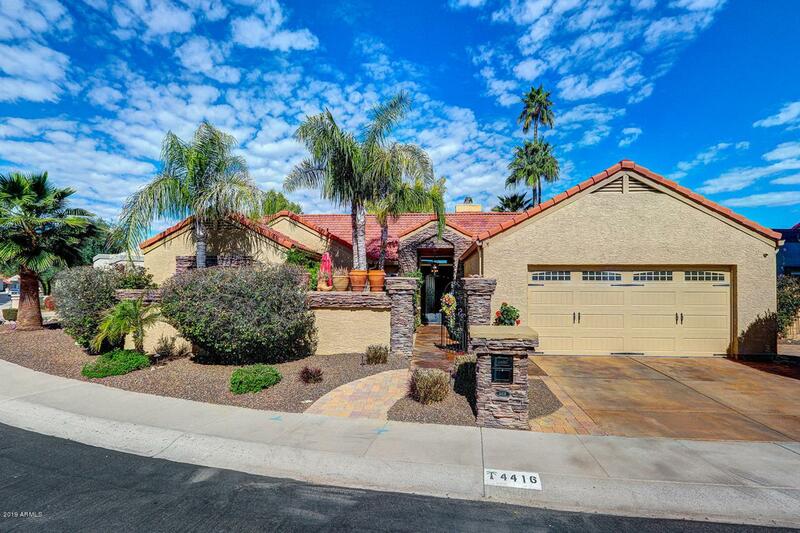 Nestled against Stonecreek Golf Club's lush championship course in the heart of Phoenix, this beautifully remodeled home is backdropped by a panorama of fairway, lake and mountain views. 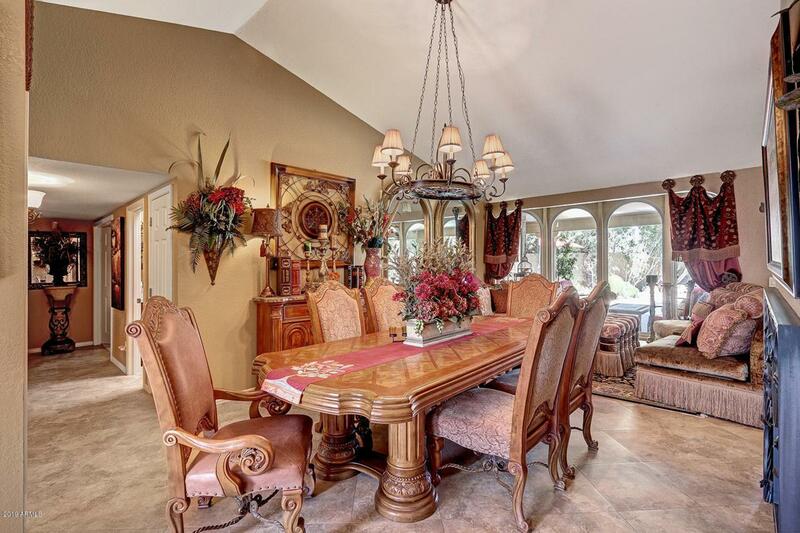 A gorgeous gated courtyard invites you in to discover vaulted ceilings, Cherry woods and dual-pane windows. Fully updated roof, A/C, oversized tile and designer baths. Well-defined living spaces within the open plan make entertaining a breeze. 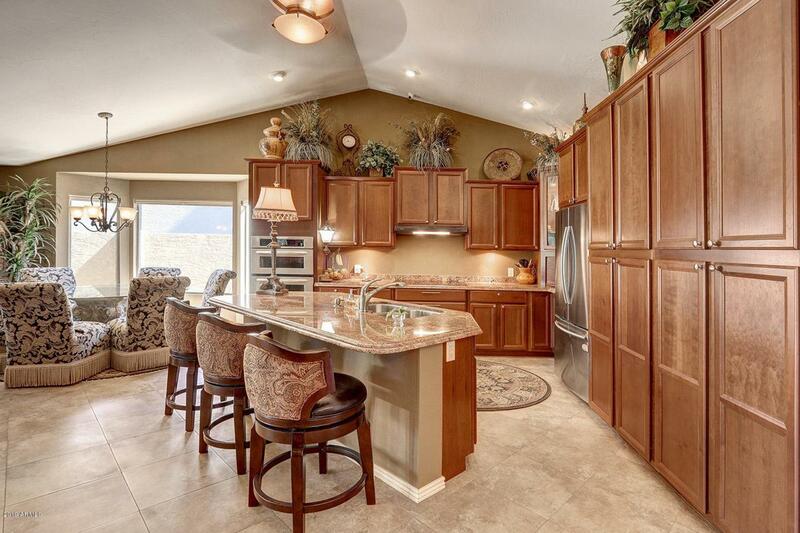 A culinary delight, the eat-in island kitchen features slab granite, stainless appliances and an eat-at bar. The den is currently set up as a home office. Private-exit master suite with jetted tub. 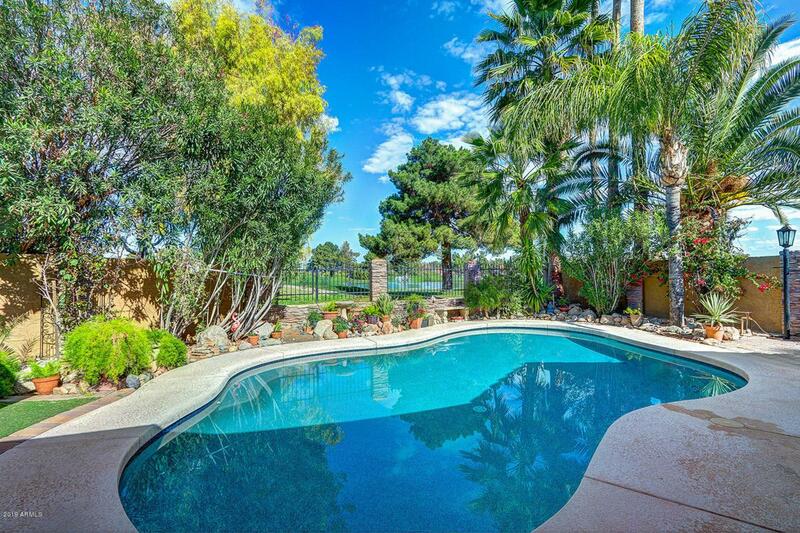 A colorful desert oasis awaits you in the back yard with a pebble-finish pool, covered patio, artificial turf and paver side yard. Community tennis.